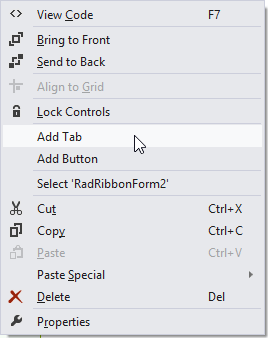 To enable the Backstage View in RadRibbonBar change the ApplicationMenuStyle property to BackstageView. You can add two types of items to the BackstageVIew’s left panel at design time: BackstageButtonItem and BackstageTabItem. 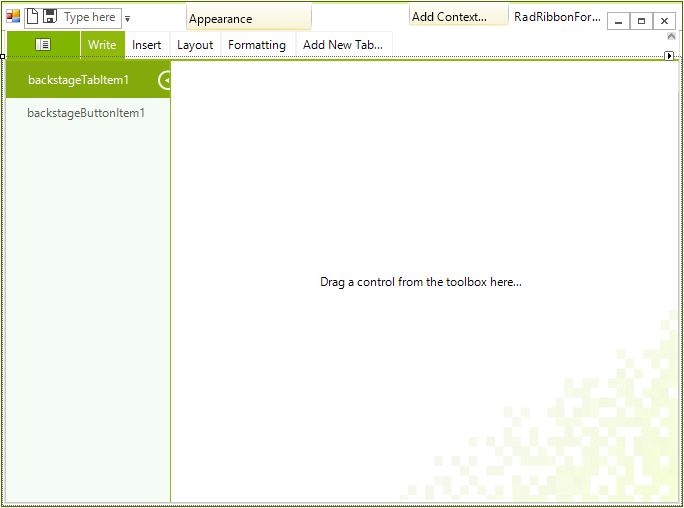 The BackstageButtonItem serves as a normal button while the BackstageTabItem has a page associated with it on which you can drag controls from the toolbox. 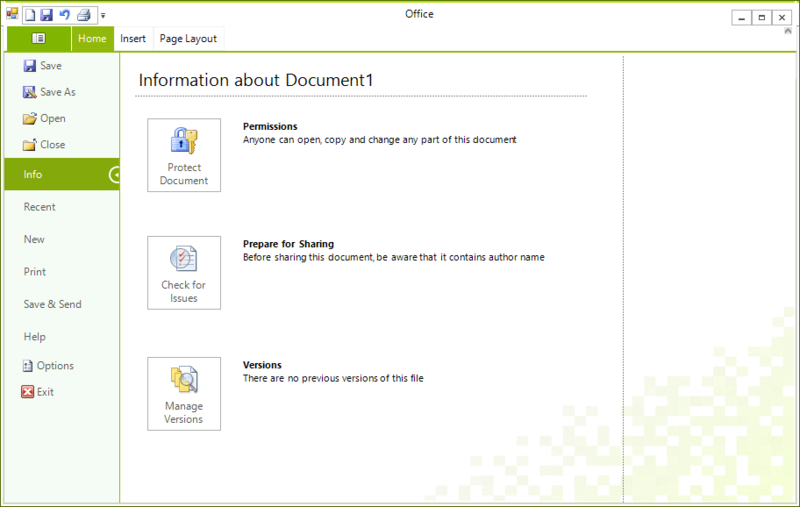 You have three options to add these items to the BackstageView at design time. 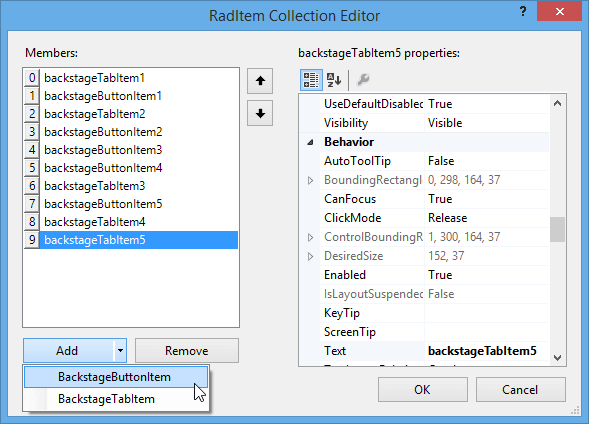 When you add BackstageTabItem to the backstage view’s left panel and select it, on the right side you have a BackstageViewPage on which you can arrange any type of controls.